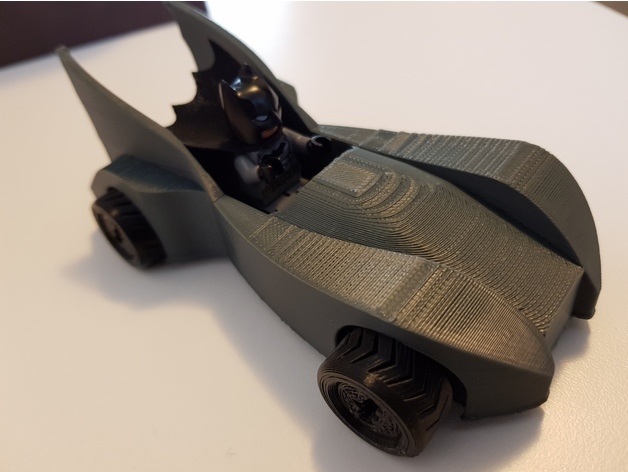 Lego Batmobile #3DThursday #3DPrinting « Adafruit Industries – Makers, hackers, artists, designers and engineers! No supports required. You could rotate the body and point front up or down, to get a smoother finish on the curvy lines. But that way supports are probably required. I used 15% infill for wheels and shaft, which could probably be lower. For the body i used 20%, but i think 30% would be better. I already have a slight crack in one of the wings (son crashed it into original lego batpod). Sand the ends of the shaft before attaching the wheels. I made a left and right wheel because of the tire profiles (yes…OCD). 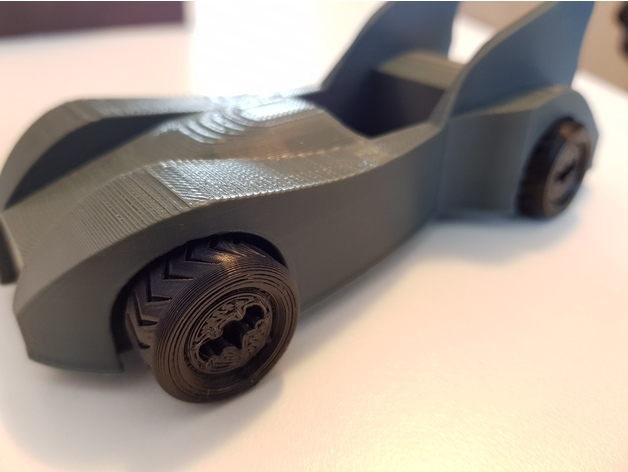 Depending on orientation or printer settings your batmobiles wheels could spin a bit jaggy (as they did on mine). The original shaft runs completely through the body and print residue could make it spin jaggy. I am new to making “functional” designs and will edit my future designs a bit with this in mind. Rear fix2 should be a bit narrower fit. Try one of them, clip them a little bit and glue on.